This chapter discusses the importance of a focused mission for a nonprofit organization, the characteristics of a well-conceived mission statement, and examples of nonprofit organizations that used their mission to guide strategic decisions. 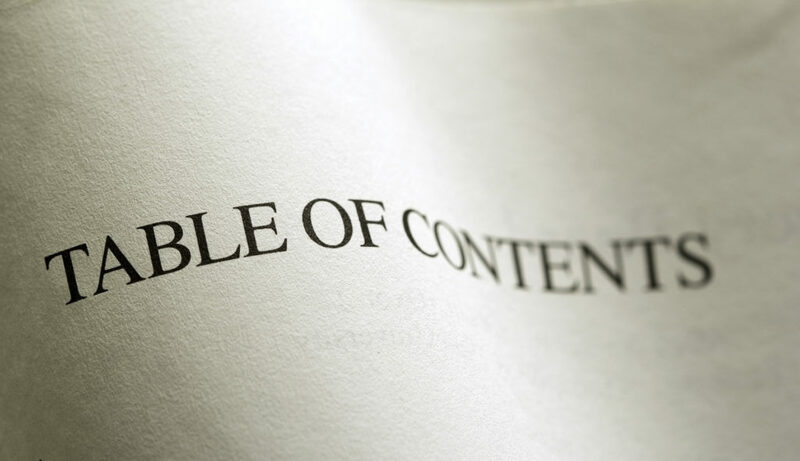 The authors posit that executing a focused mission statement is critical for becoming a high-performing organization and often is the impetus for embracing new challenges that are aligned. The authors warn nonprofit organizations against mission creep and diversification of program activities, which occurs frequently to appease funders. At the same time, the authors set out exceptions to the rule by delineating specific circumstances in which it might make sense for a nonprofit to consider broadening its programs. This chapter identifies the few strategic concepts that matter to a nonprofit organizations as it develops a plan of actions to achieve its mission. These strategic concepts include the following: theory of change, Oster’s six-forces model, assessing core competencies and skills across the value chain, and strategic planning processes. The authors discuss strategic questions faced by nonprofits through the lens of these tools and provide examples of nonprofits that have successfully adopted these tools to inform their strategy. This chapter argues for establishing rigorous impact evaluation that can provide feedback on whether an organization’s theory of change and strategy are achieving its mission. The chapter begins with a discussion of existing tools and approaches for impact measurement and evaluation and the challenges to their effective adoption. The bulk of the chapter consists of seven specific ideas to help move impact measurement and evaluation forward as the basis for decision making by nonprofit executives and staff, as well as philanthropists. Each idea is supplemented by examples of nonprofit organizations that have successfully adopted that idea in their day-to-day operations. This chapter includes discussion of concepts such as translating qualitative goals into quantitative measures, randomized control trials, cost-benefit and cost-effectiveness analysis, and feedback loops, as well as being early, managerial, transparent, and external. This chapter argues that insight and courage are critical starting points on the road to building truly paradigm-shifting, high-impact nonprofits. Insight and courage are as essential as a focused mission, logical theory of change, and rigorous impact measurement to “earn the right” to more philanthropy. The authors provide examples of leaders such as Bill Drayton, Roy Prosterman, Duncan Campbell, and Vicky Colbert who have founded nonprofits based on their particular insights into social change. The authors also describe the experiences of Sakena Yacoobi and Sal Khan in displaying courage. Insight and courage are the sine qua non of nonprofit strategic leadershipâ€”without them, there is nothing. This chapter discusses an emerging organizational model (called team of teams) and distills six principles of high-performing nonprofit organizations. Team of teams is an organizational model being developed and adopted by Ashoka. Other organizations such as Pratham are adopting elements of team of teams as work becomes increasingly project and team based. The six principles of high performing organizations are (1) the importance of mission from Peter Drucker, (2) emphasis on a performance-driven environment from McKinsey, Murray, and Marmol, (3) “first who . . . then what” from Jim Collins, (4) fact-based decision making from Jeffrey Pfeffer and Robert Sutton, (5) simultaneous loose-tight properties from Tom Peters and Robert Waterman, and (6) succession planning. The discussion of each principle includes examples of organizations that have successfully adopted these principles. This chapter provides practical advice and tips for improving your organization’s ability to obtain the funding it needs to achieve your mission. The authors lay out six principles to build an effective fund-raising and development culture to raise maximum money through donations. These principles include (1) starting with your board; (2) going where the money is, that is, wealthy individuals; (3) learning from institutions such as universities, museums, hospitals, and performing arts organizations that excel at raising financial support from ultra-wealthy individuals; (4) meeting donors where they are; (5) investing in fund-raising capabilities; and (6) mastering the “ask” for money to support a nonprofit. The authors provide examples of organizations that have adopted these fund-raising principles as well as synthesizing tips and observation from leading fund-raising experts and consultants. This chapter discusses the state of board governance in the nonprofit sector and outlines five principles of effective nonprofit governance. Each principle is a call to action for nonprofit executives and board members as they seek to build effective governance practices for their organizations. These principles include (1) demanding that your organization’s mission is clear, focused, and understood by the board; (2) evaluating the executive director on the basis of a sound process, (3) ensuring impact measurement processes that provide feedback on whether organizational strategy is achieving its mission, (4) composing the board such that it has all requisite resources, and (5) evaluating and sustaining your own board. The discussion of each principle includes examples of organizations that use these principles to achieve high-performing governance. This chapter breaks down the process of scaling a nonprofit organization into assessing readiness to scale and how to scale. The authors posit that much attention has been given to the latter, while the former remains an ignored issue in the sector. To this end, this chapter introduces a readiness-to-scale matrix, a managerial tool that nonprofits can use to evaluate the fundamentals of strategic leadership and management as practiced at their organization and consequently decide whether they are ready to scale or not. The authors synthesize their own observations and that of other thought leaders on the subject of how to scale. The chapter concludes with a discussion of nonprofits that are scaling successfully. The conclusion serves as the author’s final call to action for strategic leadership on the part of nonprofit leaders. 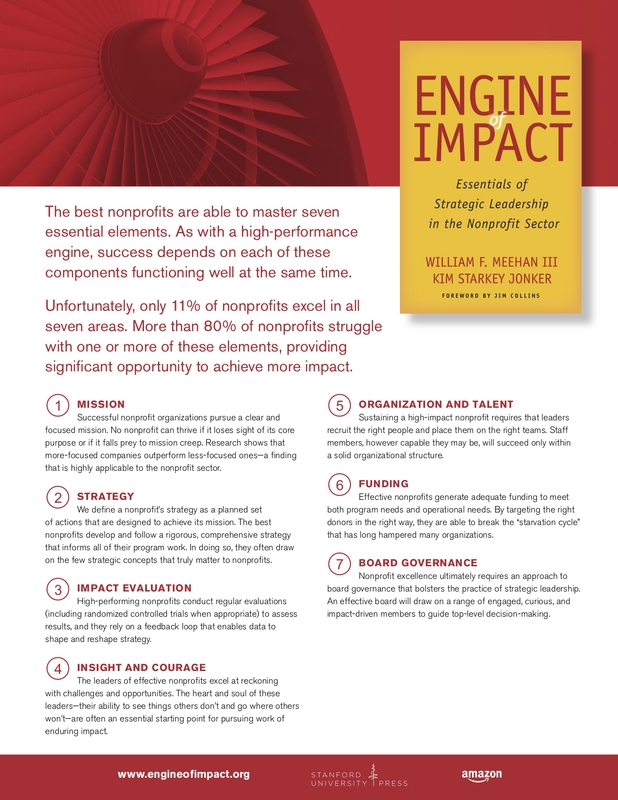 After reiterating the massive opportunity to have unprecedented impact through fact-based decision making, the authors outline the implications of strategic leadership for different stakeholders: philanthropists and major donors, everyday donors, nonprofit board members, and nonprofit executives. The book concludes with an appeal to all stakeholders in the sector to apply the tools of strategic leadership as a means for increasing the performance of nonprofit organizations and the sector overall.